The Mesh class provides an interface for mesh loading, manipulating and saving. Also you can get geometry of all of these objects via the Mesh class. Each surface of the mesh supports several morph targets. Each surface has a quaternion-based tangent basis for the better loading speed. 8-bit vertex colors are supported. Each vertex of a surface has 2 sets of indices: coordinate and triangle indices. It improves the loading speed and reduces data duplication. Each vertex of a surface has 2 UV sets. A bind pose transformation is stored for each mesh (even if there are no animations and animation frames). See also the getBoneTransforms() function. The 1st animation frame should not contain the bind pose. Total number of vertices = 3 * number of triangles. If a vertex belongs to several triangles, we have to store several copies of such vertex. Each of these copies would store information about position, normal, binormal, tangent and texture coordinates. In order to reduce data duplication and increase loading speed UNIGINE uses the optimization described below. CVertices coordinate buffer, which stores only vertex coordinates. TVertices triangle buffer, which stores vertex attributes such as normal, binormal, tangent, color, UV coordinates. Each polygon of the surface has 3 coordinates. We have 2 polygons, thus, we have 6 vertices, but we save in the CVertices buffer only 4, because 2 of them have the same coordinates. Each coordinate vertex contains coordinates (float) of the vertex. The number of vertices and coordinate vertices is the same. The number of vertices and triangle vertices can be different. The number of triangle vertices depends on the number of triangles, to which the vertex belongs. For example, if 2 triangles have 1 adjacent vertex with different normals for each triangle, 2 triangle vertices will be stored (the 1st and the 3rd vertices on the picture above). However, if the components are the same for all of the adjacent triangles, only 1 triangle vertex will be stored. CIndices buffer — coordinate indices, which are links to CVertices data. 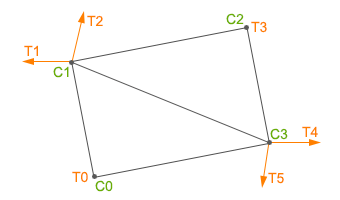 TIndices buffer — triangle indices, which are links to TVertices data. The number of elements in these index buffers is equal to the total number of vertices of a mesh surface. The first 3 elements are the coordinate indices of the first (bottom) triangle. The second 3 elements are the coordinate indices of the second (top) triangle. The first 3 elements are the triangle indices of the first (bottom) triangle. The second 3 elements are the triangle indices of the second (top) triangle. The number of the coordinate and triangle indices is the same. Article on Mesh File Formats. Description of the Mesh class functions. Create an instance of the Mesh class by using the create() method. Copy geometry of the mesh-based object into this Mesh instance via the getMesh() method. The Mesh instance must be passed as a parameter to this method. Get vertices of the Mesh. You can copy a mesh into another by using the Mesh class. It is supposed that you already have an ObjectMeshDynamic to copy. 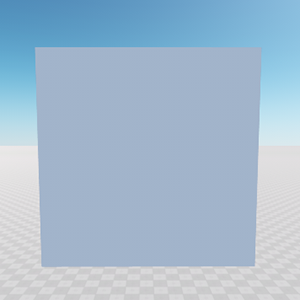 Create a Mesh class instance as a container for the ObjectMeshDynamic mesh. Copy the ObjectMeshDynamic mesh into the Mesh by using the getMesh() function. Create a new ObjecteMeshDynamic instance from the Mesh instance by using overloaded constructor of the ObjectMeshDynamic class. It is supposed that you already have 2 ObjectMeshDynamic class instances. Create the Mesh class instance as a container. Copy the ObjectMeshDynamic to the Mesh by using the getMesh() function. Set the mesh to the second ObjectMeshDynamic instance by using setMesh() function. You can return the transformed mesh from the Mesh class to the same ObjectMeshDynamic instance without creating a new one, if necessary. By using the Mesh class you can copy surfaces from one mesh to another. 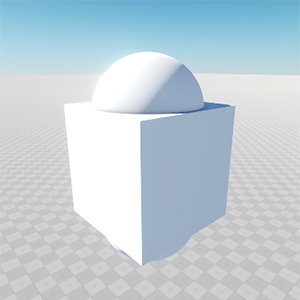 Create 2 instances of the Mesh class and add capsule and box surfaces to them. Add the box surface from the second mesh (mesh_2) and add it to the first mesh (mesh_1) by using the addMeshSurface() function. 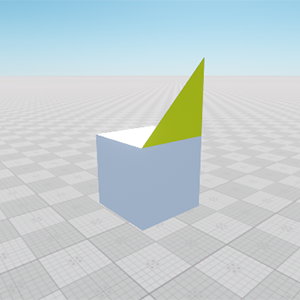 Create a new ObjectMeshDynamic mesh from the mesh_1 instance. Add the dynamic mesh to the editor and set the material, property and name. 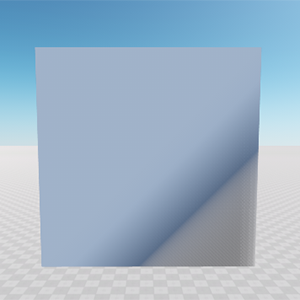 // with the name "new_box_surface"
You can copy a surface from the source mesh and add it to the existing surface of the current mesh without creating a new one. The Mesh class allows adding vertices to a mesh and change vertex attributes. Create the Mesh class instance and add 4 vertices to it. Add 6 indices to create a plane. After that tangents and normals are created by using the createTangents() and createNormals() functions. The bounds of the mesh are updated to include all new vertices via the createBounds() function. Current normal values of the 2 vertices are shown in console. After changing, new values are shown in console. Tangent is shown in the console, and then it is changed and shown in the console again. Create a new ObjectMeshDynamic mesh from the mesh instance. When setTangent() and setNormal() functions were called, the normal and the tangent changed their values. This section contains information on how to add a surface to the existing mesh. Create a new mesh instance from the file. Add a new surface to the mesh. Add vertices for the mesh surface. Create indices for recently created vertices by using the createIndices() function. Update the bounds of the mesh to include the created surface by using the createBounds() function. Create a material to be assigned to the added surface. Save mesh to the file and add it to the editor.